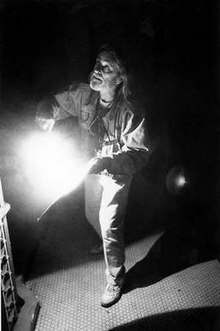 Conrad Lafcadio Hall, ASC (June 21, 1926 – January 6, 2003) was an American cinematographer from Papeete, Tahiti, French Polynesia. Named after writers Joseph Conrad and Lafcadio Hearn, he was best known for photographing films such as In Cold Blood, Cool Hand Luke, Butch Cassidy and the Sundance Kid, American Beauty, and Road to Perdition. For his work he garnered a number of awards, including three Academy Awards and BAFTA Awards.